This is the exclusive design by the 32nd. 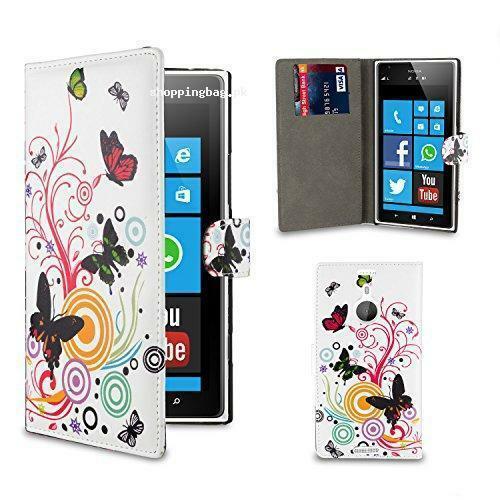 This design book case for the Nokia Lumia 1520 comes with the screen protector and cloth cleaner for the mobile phone. It protects the mobile phone from scratches and damages. It has the perfect shape and mold according to the shape of the mobile. This case is exclusively designed. Just make sure the model of your mobile and the protector before you order this online at this website. This is the high quality cover for mobile available to buy in Pakistan online. This is the high quality leather cover with the perfect cut for the features. It will keep your phone safe and protected. Buy now in Pakistan with cash on delivery facility all over the country. This case is designed to fit Nokia Lumia 1520. Please check your phone model before ordering.